Self-compassion is a healthy way of relating to one’s self motivated by a desire to help rather than harm. Novel self-compassion-based interventions have targeted diverse populations and outcomes. This meta-analysis identified randomized controlled trials of self-compassion interventions and measured their effects on psychosocial outcomes. This meta-analysis included a systematic search of six databases and hand-searches of the included study’s reference lists. Twenty-seven randomized controlled trials that examined validated psychosocial measures for self-compassion-based interventions met inclusion criteria. Baseline, post and follow-up data was extracted for the intervention and control groups, and study quality was assessed using the PRISMA checklist. Self-compassion interventions led to a significant improvement across 11 diverse psychosocial outcomes compared with controls. Notably, the aggregate effect size Hedge’s g was large for measures of eating behavior (g = 1.76) and rumination (g = 1.37). 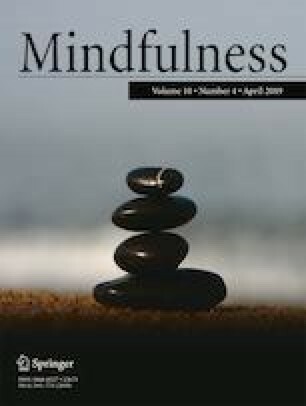 Effects were moderate for self-compassion (g = 0.75), stress (g = 0.67), depression (g = 0.66), mindfulness (g = 0.62), self-criticism (g = 0.56), and anxiety (g = 0.57) outcomes. Further moderation analyses found that the improvements in depression symptoms continued to increase at follow-up, and self-compassion gains were maintained. Results differed across population type and were stronger for the group over individual delivery methods. Intervention type was too diverse to analyze specific categories, and publication bias may be present. This review supports the efficacy of self-compassion-based interventions across a range of outcomes and diverse populations. Future research should consider the mechanisms of change. The online version of this article ( https://doi.org/10.1007/s12671-019-01134-6) contains supplementary material, which is available to authorized users. MF designed and executed the study, conducted the analyses and interpretation and wrote the manuscript. CH collaborated with the design and proof editing of the paper. AH contributed to literature searches and data extraction and management. MA contributed to proof editing of the paper. AB contributed to statistical analyses interpretation and proof editing the paper. DE collaborated with the design and proof editing of the paper. The research reported here was conducted in an ethical and responsible manner. As a meta-analysis, approval from a human research ethics committee was not required. The data file is made available in the supplementary materials for this article. Campbell, I. N., Gallagher, M., McLeod, H. J., O'Neill, B., & McMillan, T. M. (2017). Brief compassion focused imagery for treatment of severe head injury. Neuropsychological Rehabilitation, 1–11. https://doi.org/10.1080/09602011.2017.1342663. Duarte, C., Pinto-Gouveia, J., & Stubbs, R. J. (2017). Compassionate attention and regulation of eating behavior: a pilot study of a brief low-intensity intervention for binge eating. Clinical Psychological Psychotherapy., 14(6). https://doi.org/10.1002/cpp.2094. Ferrari, M., Harrysunker, A., Hunt, C., Abbott, M., & Einstein, D. (2017b). The skill of self-kindness: a metaanalysis of randomized controlled trials investigating self-compassion-based interventions [Protocol]. PROSPERO 2017 CRD42017069182. Retrieved from: http://www.crd.york.ac.uk/PROSPERO/display_record.php?ID=CRD42017069182. Accessed 5 Apr 2019. Finlay-Jones, A. L., Rees, C. S., & Kane, R. T. (2015). Self-compassion, emotion regulation and stress among Australian psychologists: testing an emotion regulation model of self-compassion using structural equation modeling. PLoS One, 10(7). https://doi.org/10.1371/journal.pone.0133481. Jazaieri, H., Jinpa, G. T., McGonigal, K., Rosenberg, E. L., Finkelstein, J., Simon-Thomas, E., … & Goldin, P. R. (2013). Enhancing compassion: a randomized controlled trial of a compassion cultivation training program. Journal of Happiness Studies, 14(4), 1113–1126. https://doi.org/10.1007/s10902-012-9373-z. Kirby, J. N., Doty, J. R., Petrocchi, N., & Gilbert, P. (2017a). The current and future role of heart rate variability for assessing and training compassion. Frontiers in Public Health, 5. https://doi.org/10.3389/fpubh.2017.00040. Kok, B. E., Coffey, K. A., Cohn, M. A., Catalino, L. I., Vacharkulksemsuk, T., Algoe, S. B., … & Fredrickson, B. L. (2013). How positive emotions build physical health: perceived positive social connections account for the upward spiral between positive emotions and vagal tone. Psychological Science, 24(7), 1123–1132. https://doi.org/10.1177/0956797612470827. Landis, J. R., & Koch, G. G. (1977). The measurement of observer agreement for categorical data. Biometrics, 159–174. https://doi.org/10.2307/2529310. Matos, M., Duarte, C., Duarte, J., Pinto-Gouveia, J., Petrocchi, N., Basran, J., & Gilbert, P. (2017). Psychological and physiological effects of compassionate mind training: a pilot randomised controlled study. Mindfulness, 1–14. https://doi.org/10.1007/s12671-017-0745-7. Palmeira, L., Cunha, M., & Pinto-Gouveia, J. (2017). Processes of change in quality of life, weight self-stigma, body mass index and emotional eating after an acceptance-, mindfulness- and compassion-based group intervention (kg-free) for women with overweight and obesity. Journal of Health Psychology, 1–14. https://doi.org/10.1177/1359105316686668. Zeng, X., Chiu, C. P., Wang, R., Oei, T. P., & Leung, F. Y. (2015). The effect of loving-kindness meditation on positive emotions: a meta-analytic review. Frontiers in Psychology, 6. https://doi.org/10.3389/fpsyg.2015.01693.